Pat Hobson has just qualified as an air traffic controller with the Royal Air Force – a career he once thought was out of reach due to his lack of A-levels. In this interview, he talks about what it's like to be responsible for the safety or pilots and passengers, and explains how to become an air traffic controller. How long have you been doing this job? I joined the RAF one and a half years ago and have been a qualified air traffic controller for three months. My first job was as a waiter at a small pub in Devon. I worked three nights and one day each week. I have always wanted to be in the military, I never knew what role I wanted to do though. My dad was in the military. It started with a career presentation at my local career office. The three services showed me what was on offer. I decided on the RAF and they told me in more depth what they could offer. I chose the role of air traffic controller and began my basic training shortly afterwards. On completion of basic training I moved onto my air traffic controller-specific training before graduating in Feb 16. Work usually starts at 0800. I live on station so the commute is short, with a brief from the shift supervisor containing weather reports and other important information for the day. Flying usually commences at 0830. In air traffic control there are around eight different positions, or seats as we call them, that we can control in. I usually spend the first hour of the day on departures where I control all the aircraft leaving the airfield. After a morning break I normally have another session on departures for about an hour before taking a lunch break. In the afternoon I will usually train in one of the seats I am not yet qualified in. For example, at the moment I am training for my tower seat, where I will control aircraft taking off and landing at the airfield. The days are often varied. The supervisor will put you on different positions to give you some variety. The day ends around 1700. On average I probably speak to 50 aircraft each day, making sure each of them completes their task safely. Definitely the variety of the job role, no two days are the same in air traffic control. Boredom is rarely a problem we face! The ability to remain calm is probably the biggest element to controlling. Often situations will test you on a day-to-day basis but we have to remain calm for the safety of the pilots and passengers. 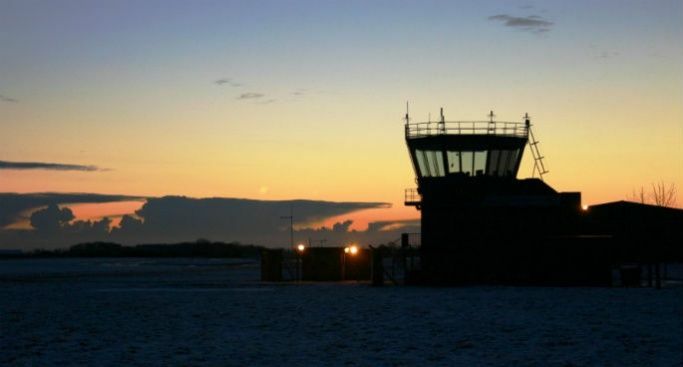 If you are looking to join I would highly recommend trying to visit an air traffic control tower at a nearby military or civilian airfield to get a feel for how we operate. A certain level of school or college grades are required (details can be found on the RAF website, as they often change). In terms of personal qualities air traffic control in general needs confident people who are willing to learn and adapt. You don’t have to be a computer whizz or intellectual to work in air traffic control. Most of your personal improvement will come through making mistakes so a positive attitude is important. I wish I had known I could have done it sooner. I always thought something like air traffic control would be out of my reach. I don’t have A-levels and thought this would hinder my chances of become an air traffic controller. The way in which we recruit is done on individual basis: although some grades are required, age and experience is not always relevant. 10. Where would you like to be in five years? In five years I would like to be still working as a controller and have been promoted. If you think you've got what it takes to follow in Pat's footsteps, find out more about jobs in the armed forces and how you can get there.